The City of Angels, the center of the nation's film and television industry, is the place to see and be seen. Spend the day on the beach in Santa Monica, stroll on the Venice Beach Boardwalk and watch the sun set over LA from the Griffith Observatory. There is no shortage of activities to explore while staying in Los Angeles in one of LVH Global's luxury properties. The largest museum on the West Coast, the LACMA is devoted to collecting works of art that span both history and geography, in addition to representing Los Angeles's uniquely diverse population. With a collection that includes nearly 130,000 objects dating from antiquity to the present, the works on display encompass the geographic world and nearly the entire history of art. Start off on the Venice Boardwalk and make your way towards the Santa Monica Pier. Stroll past various street vendors, entertainers and miles of perfect coastline. Pass by the famous Muscle Beach, the birthplace of the physical fitness boom in the US during the 20th century, and see acrobats of all kinds performing tricks. Once you reach the end of the boardwalk, walk along the Santa Monica Pier and watch the sun set into the horizon. Perched on the southern slopes of Mt. Hollywood, the Griffith Observatory's planetarium boasts the world’s most advanced star projector. Astronomical touch displays cover the evolution of the telescope and the ultraviolet x-rays used to map our solar system. If you're not gazing at the stars, look over Los Angeles as the sun sets and the city lights come on. With 7 bedrooms and 7 bathrooms, our featured property, Villa Ophelia, is perfectly equipped for families or a group of friends. This villa located on the Sunset Strip with stunning views of the city lights and the ocean. Combining linear modernity with refined tranquility, this villa is equipped with luxury amenities. For more information, press the button below. Don't miss out on all that Los Angeles has to offer! Consider booking your next vacation with LVH Global. 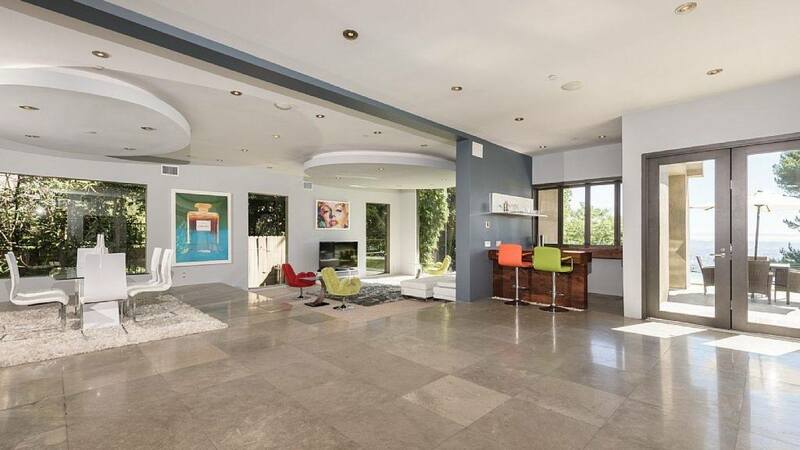 Click below to view our wide variety of luxury properties available for rent in LA.